VENUE HIRE AT ACTION DRAMA STUDIO! Action Drama Studio offers two unique spaces for hire, suitable for both rehearsal and performance. Centrally located next to Rosanna train station in Melbourne’s North East, and less than half an hour from Melbourne’s CBD, our venue is easily accessible with shops, restaurants and good coffee all a stones throw away! 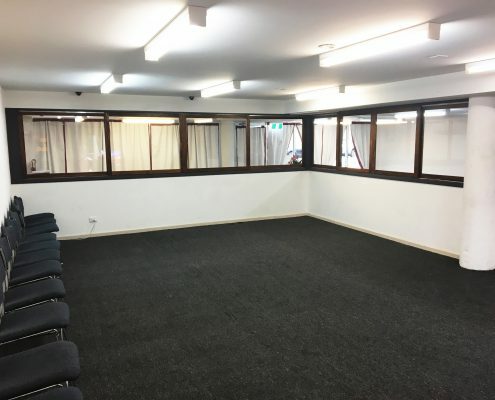 Our Upstairs Studio space is fully carpeted, complete with sound proof windows making it ideal for both rehearsals and audition preparation. 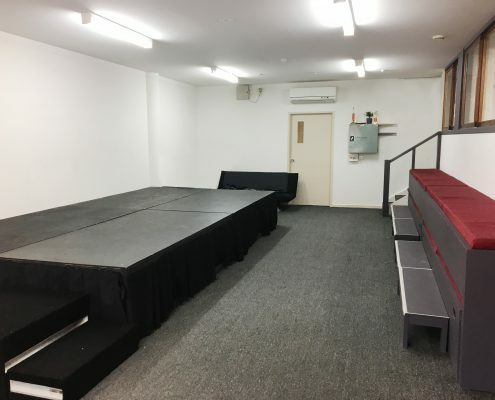 With access to black drama blocks, chairs and natural lighting this space is an ideal location to film professional quality video or hold intimate rehearsals at an affordable price. 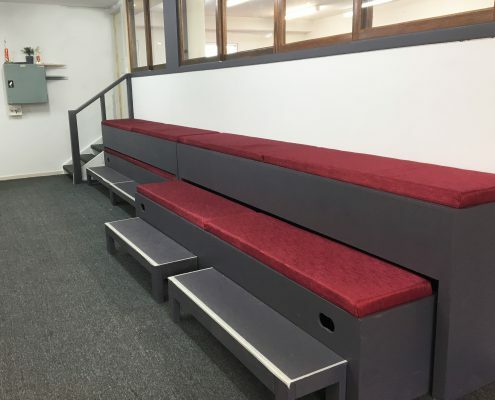 Our Downstairs Performance Space includes a 4.8m x 2.4m raised stage as well as retractable bench seating (seats approx. 25). With further seating available upon request, this space is ideal for intimate performances, seminars, classes or rehearsals.